Rambler et al: Does the Bottle Opener Work? Discussion in 'Multi-tools & Multi-purpose Knives' started by The Zieg, Jun 13, 2018. Yes, I have good experience with it. No, I can't get it to pop open a bottlecap. 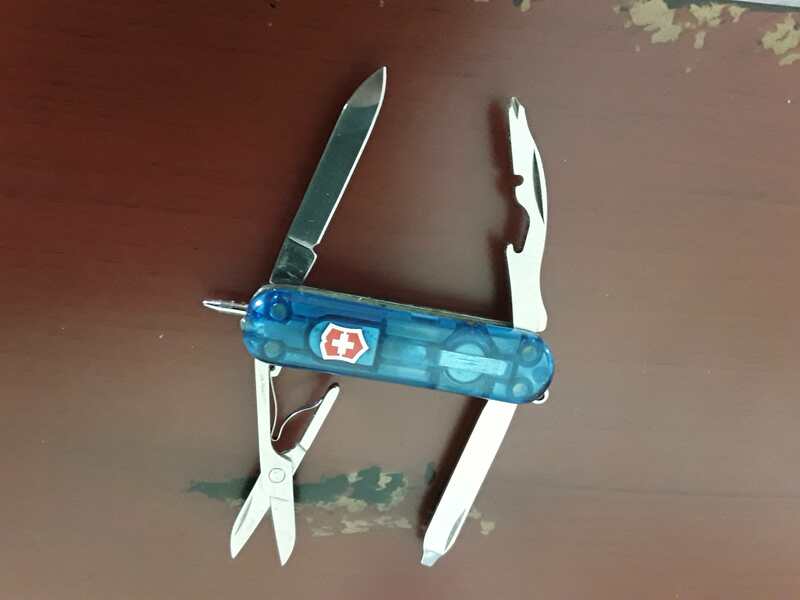 Bringing an SAK with me to Italy this September and wonder if the bottle opener on the Rambler, Manager, and the like is actually functional. I like the little Phillips on the end of it, but that's not enough to sway me. What's your experience, O Great Multitude?! ps: FWIW, I'm probably going to Dremel the main blade off so as to avoid run ins with museum security as I travel and see if it passes muster with TSA on domestic flights in the future. So after voting above, feel free to chime in on that topic below. Needless to say, I'm prepared to lose the tool to confiscation by Authority. I use mine quite a bit when on cruise ships. It take a little getting use to but works fine. Midnight manager; pen and light come in handy also. Takes a little more care in use, but lifts bottle caps just fine. The ph driver is magnetized, which is sometimes a help when working with tiny screws. The caplifter on my Rambler (which I seem to have misplaced :-( !) works great. The trick is to lift the cap, turn the bottle a centimeter or so, then lift again. Voila! Beer time! Speaking of Italy, I did have to check my Rambler with security at a couple different cathedrals in Rome. The guards took my keychain and gave me a numered tag so I could retrieve it upon exiting. The Zieg and Chacap like this. Yes! I just take it easy, pry up in one spot then rotate the bottle and pry again, keeping that up until the top comes off. I'm probably being way too delicate with it but I'm not one to push mechanical systems to their limits. It works fine. Just try to hook it under the part of the crimped cap that sticks out. Try it a few times and you'll see what I mean. pfranze78, mnblade, The Zieg and 1 other person like this. I tend to do that with my 84mm Bantam too. The Zieg, Chacap and L. Richard like this.